​This week we launched our new FREE art mentorship program for kids in Mount Shasta. The first class has been a great success and all spaces were filled up completely. We had to turn down many kids and put them on a waiting list. ​We are now we are looking to expand the class into more days, bring staff and expand our resources so we can continue to offer more creative classes for FREE and empower the young brilliant minds in our community. The BLESS THE CHILDREN Project has been working in collaboration with the P.A.L. Foundation on an exciting new endeavor: The TREE STAR Project. The project's mission is to empower children to take action in their communities to solve the environmental challenges they have inherited. Tree Star is P.A.L's new exciting endeavor in collaboration with the BLESS THE CHILDREN PROJECT, to educate children and youth about the importance of protecting and preserving our environment, and the importance of TREES. Tree Star is an interactive, environmental, educational children’s book and a multi-media project intended to empower children to take action by getting involved and implement important changes now. Thank you Vibrant Health, Inc., for your support! Thank you ORGANIC INDIA USA! We are so grateful for the kind support of an amazing company, OMICA ORGANICS, who provides natural, bioavailable health supplements and grocery items for mindful, informed consumers: https://www.facebook.com/OmicaOrganics. THANK YOU!!! GET YOUR FREE EBOOK: "JUICING VEGGIES AND FRUITS"
Steven Prussack: A New board member for the Bless the Children Project! Steve is an author, radio host, and Founder/Editor-in-Chief of VegWorld Magazine (vegworldmag.com). Steve is the author of “The Complete Idiot’s Guide to Juice Fasting (Penquin Books) and founder of Juice Guru. Steve founded and co-produced the world’s largest online vegan and raw vegan summits, Veganpalooza: 2012/2013 Vegetarian World Summit (veganpalooza.com), Evolvepalooza: 2013 Conscious Life World Summit and Rawpalooza: 2012/2013 Raw Food World Summit. 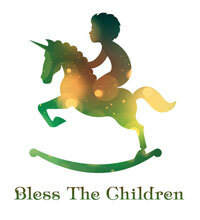 The New BLESS THE CHILDREN Project site is up!